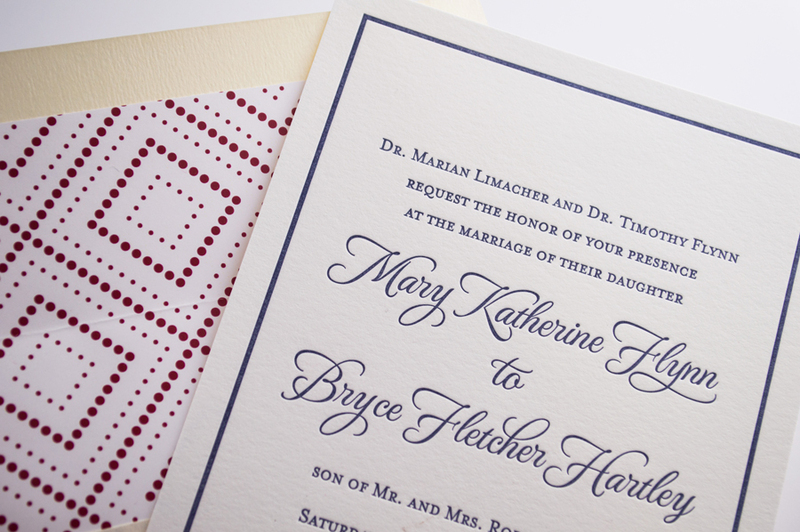 These classy, preppy letterpress wedding invitations are a beautiful customization of our timeless Audry design featured in our Design Bar. 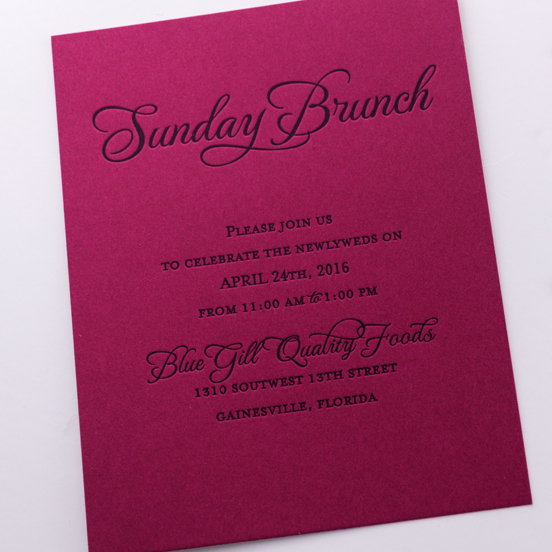 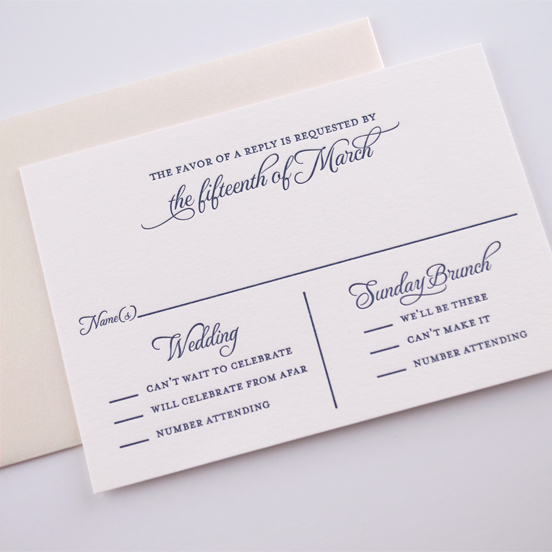 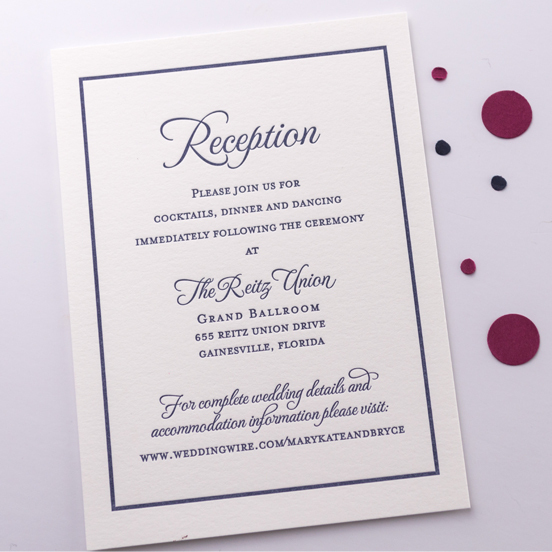 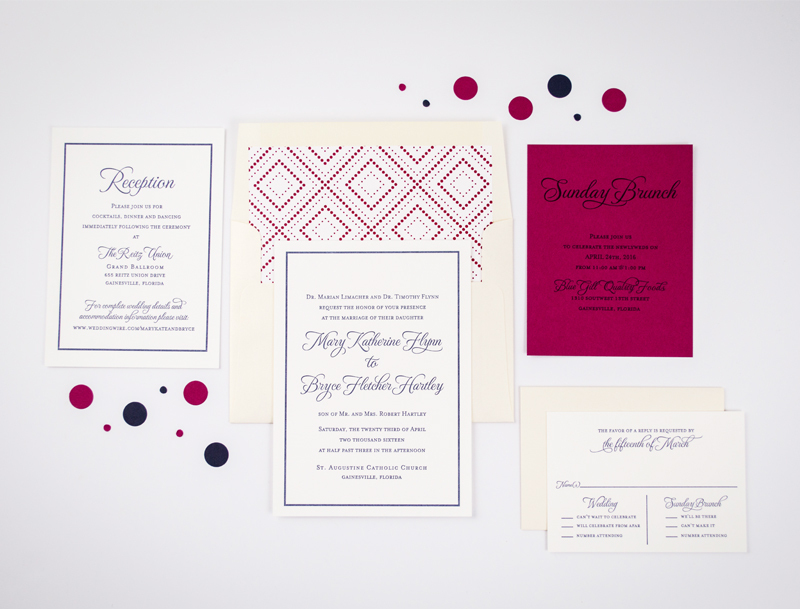 Mary wanted her invitations to have a clean, classy look with a fun-preppy feel. 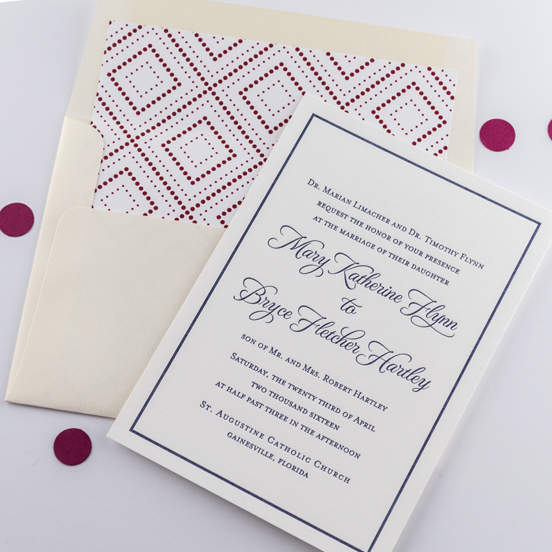 To personalize their invitations, we incorporated her color palette through one of the enclosure cards, and we added a fun patterned envelope liner.